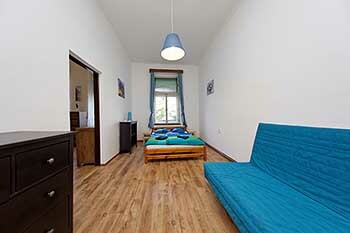 This THREE BEDROOM FLAT is comfortable for 6 persons but can accommodate up to 8 persons in 3 bedrooms + kitchen with extra bed and separate bathroom with bathtub and toilet. 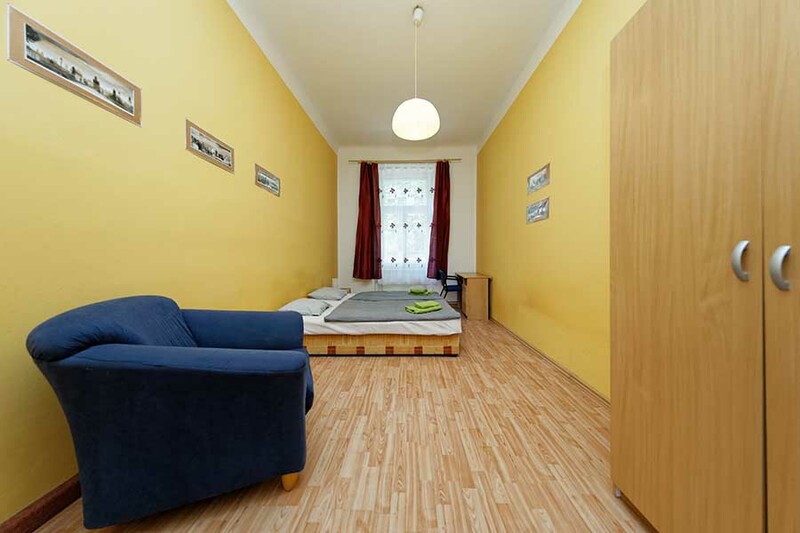 This ONE BEDROOM FLAT is comfortable for 2 persons but can accommodate up to 4 persons in 1 bedroom with double bed and sofa bed + kitchen and bathroom with shower and separate toilet. 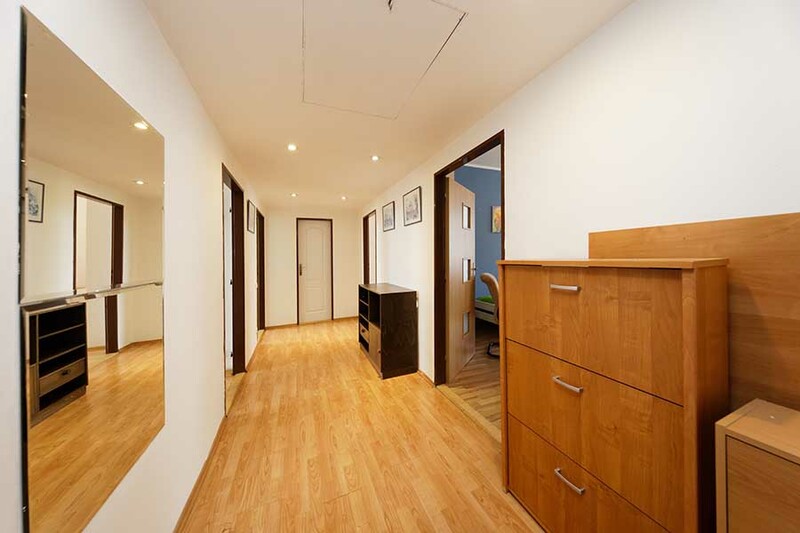 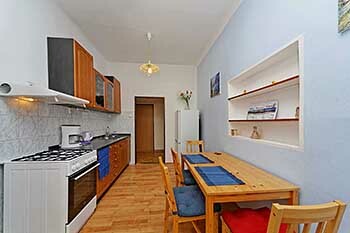 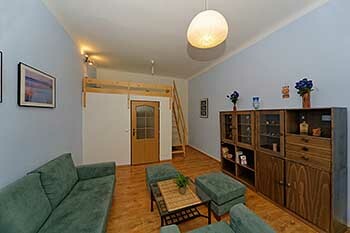 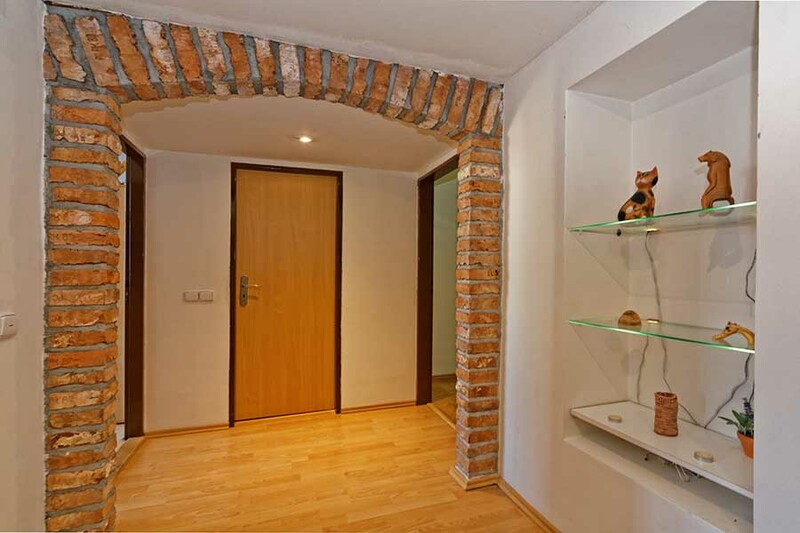 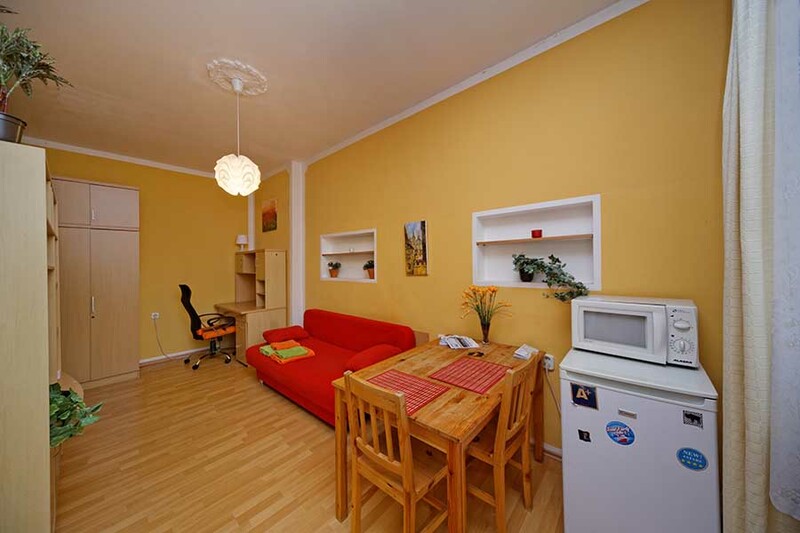 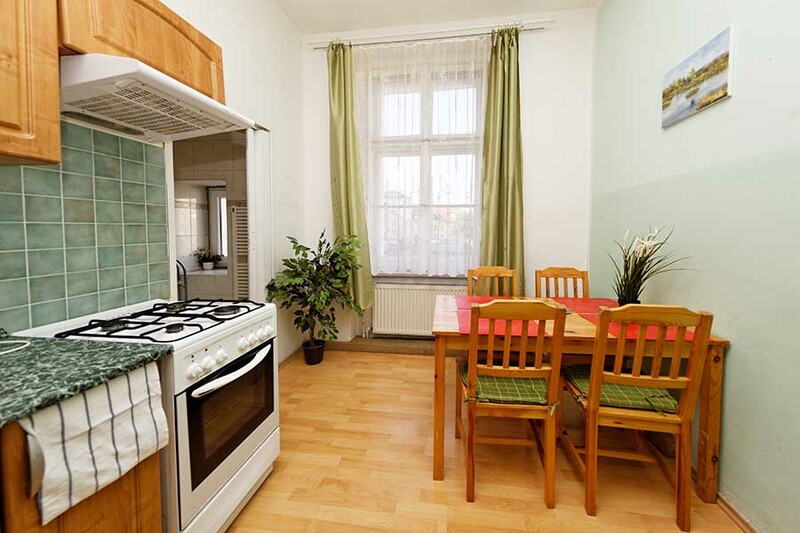 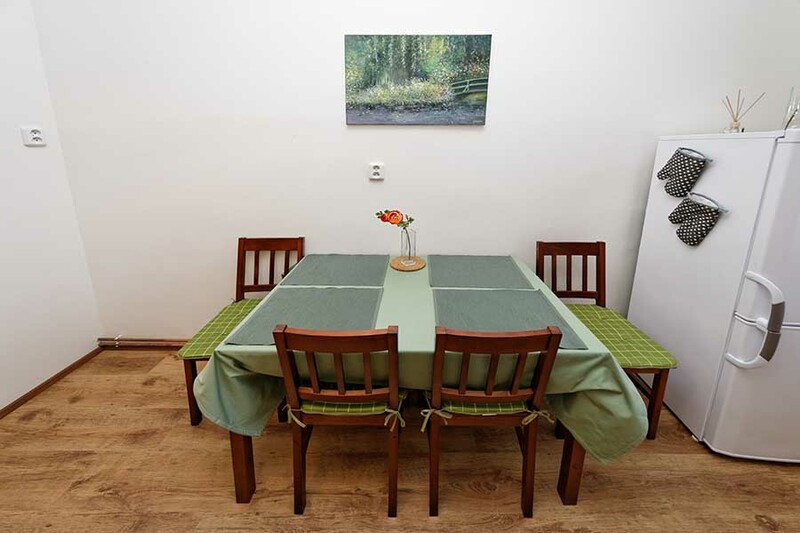 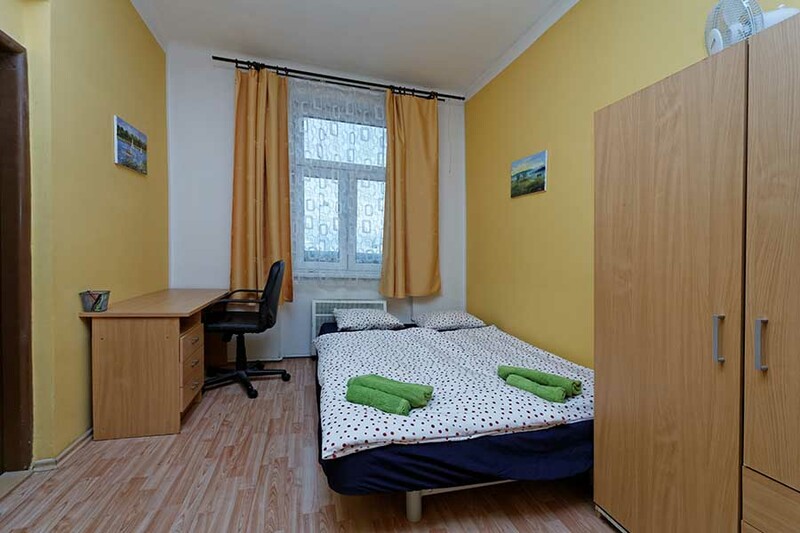 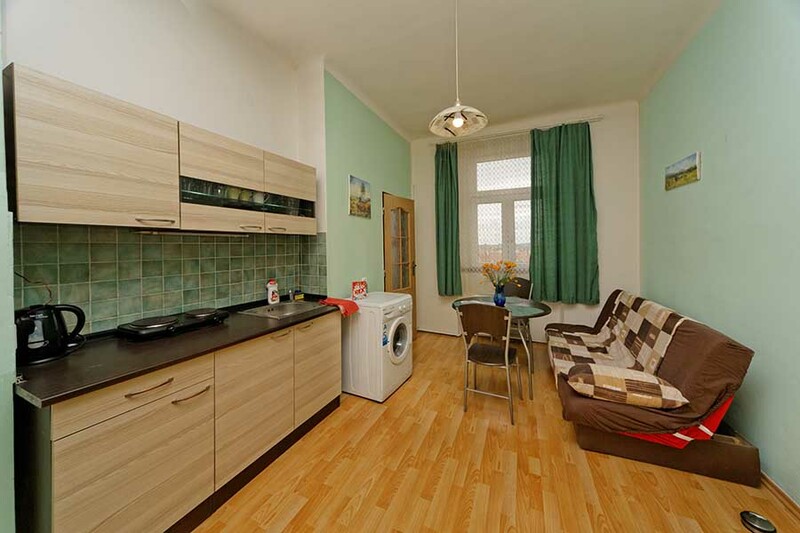 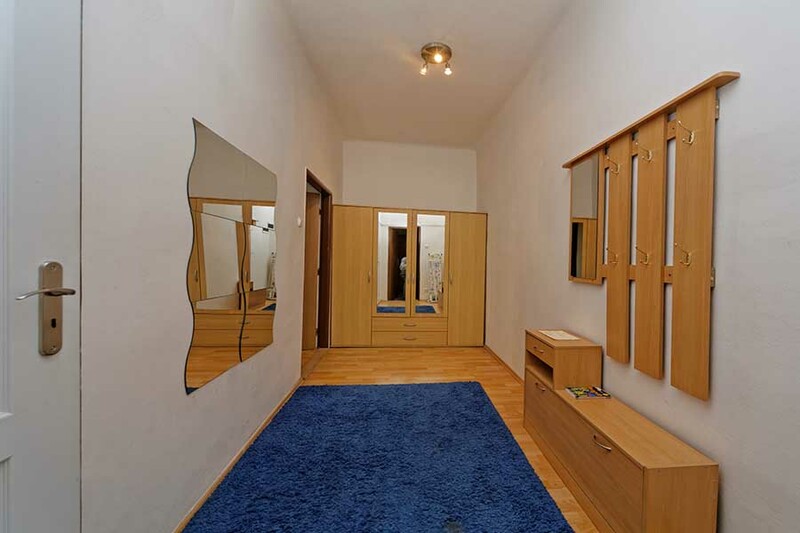 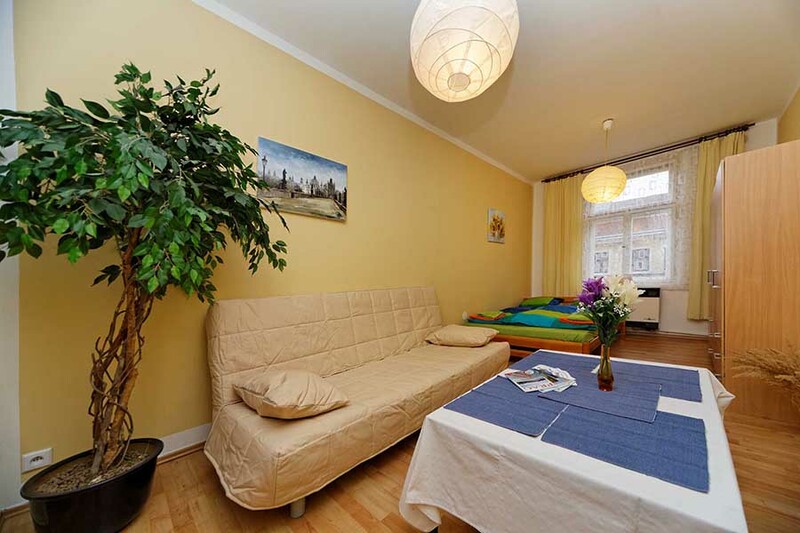 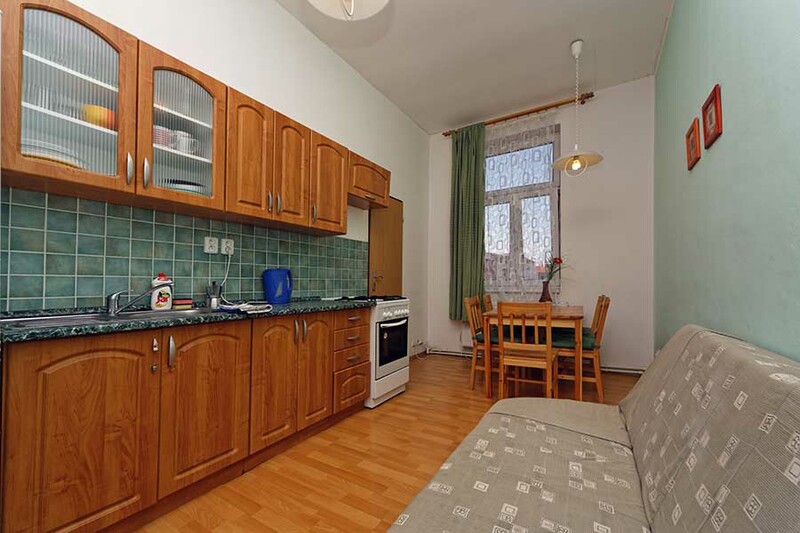 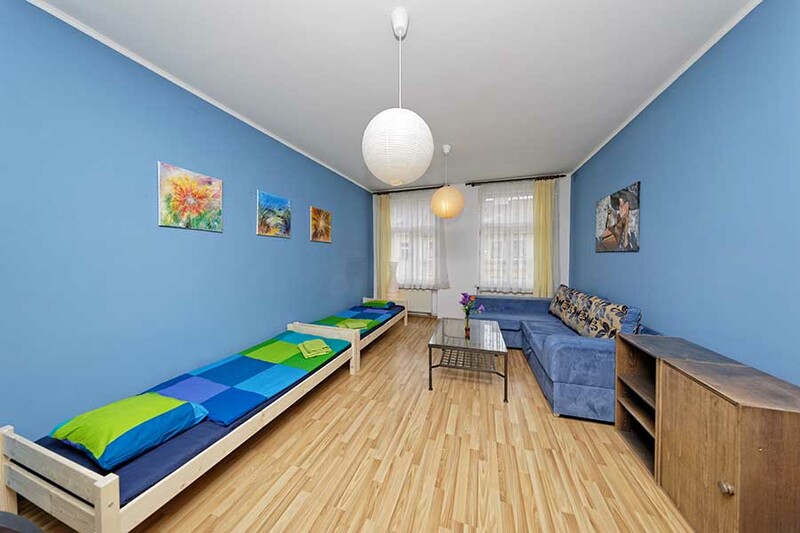 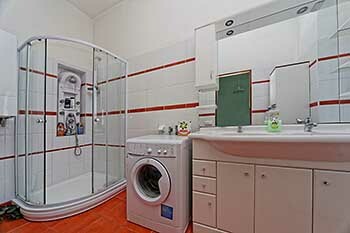 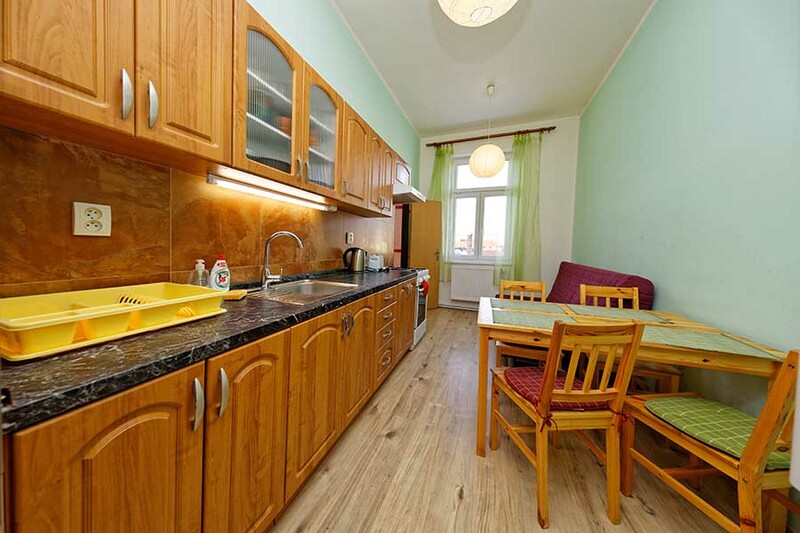 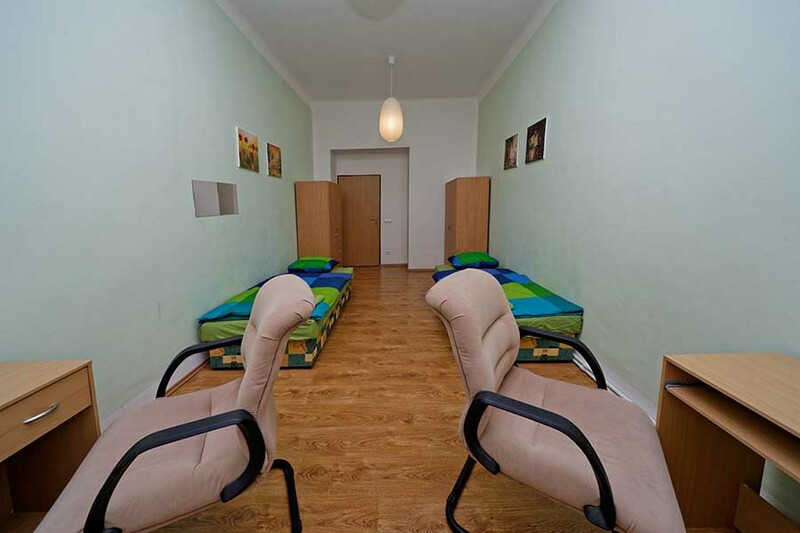 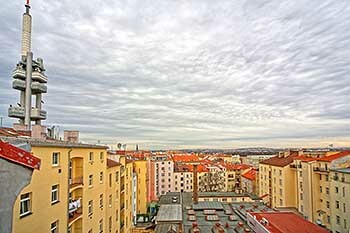 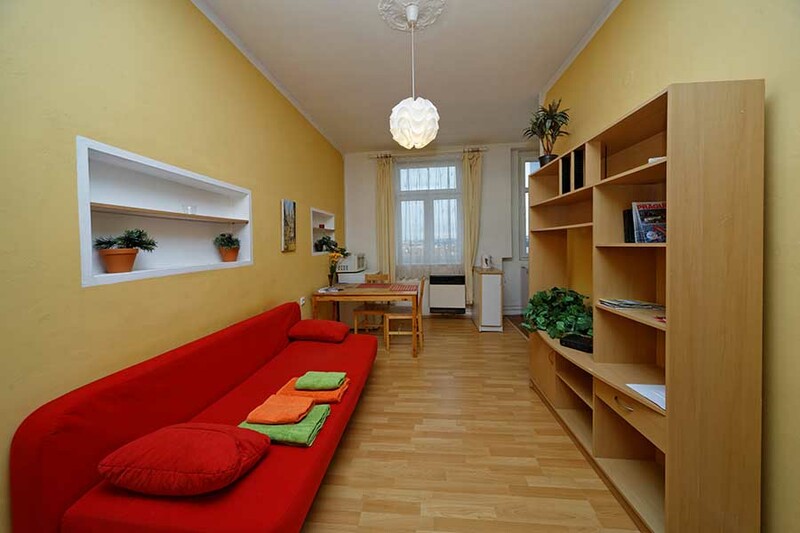 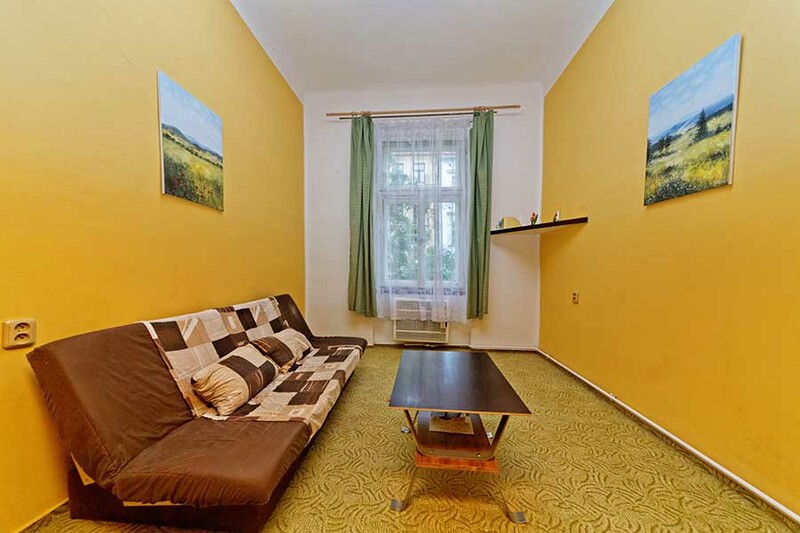 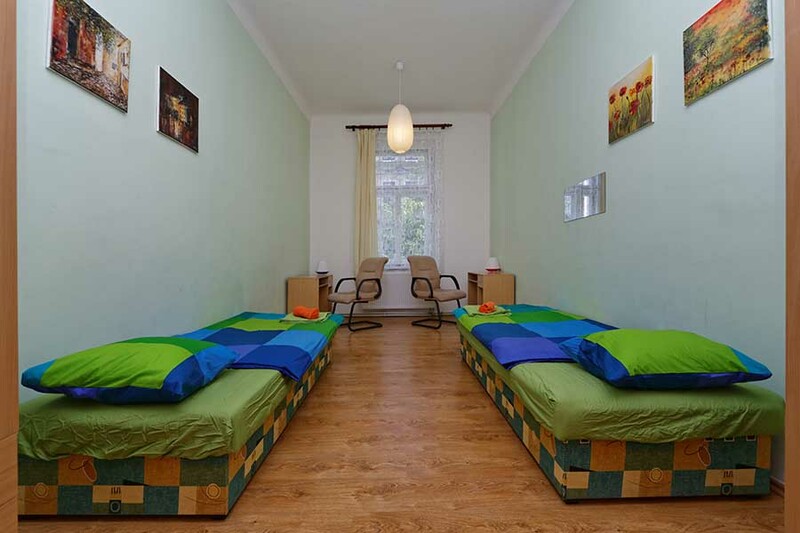 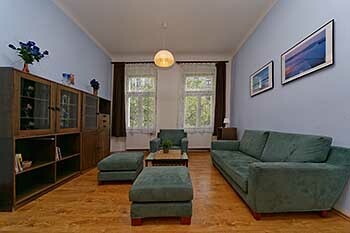 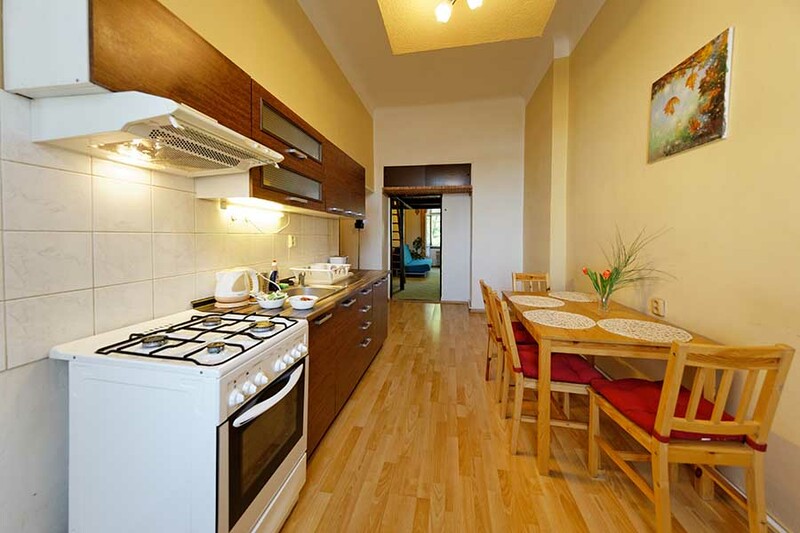 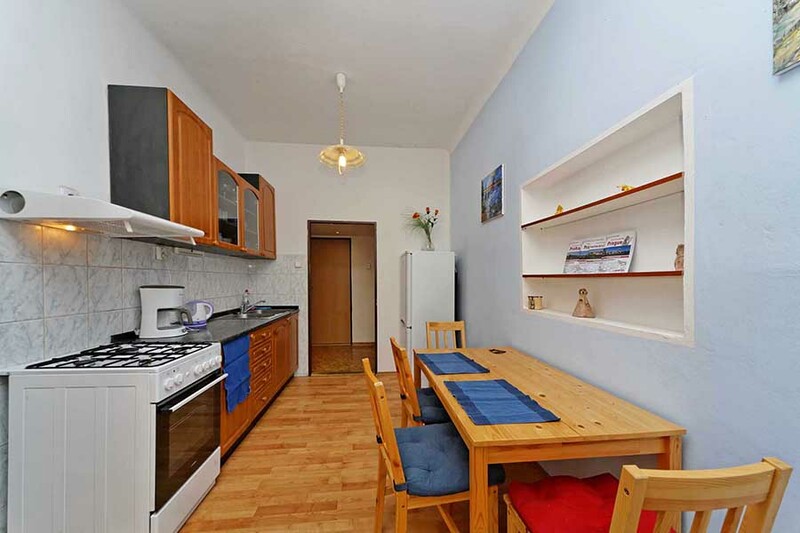 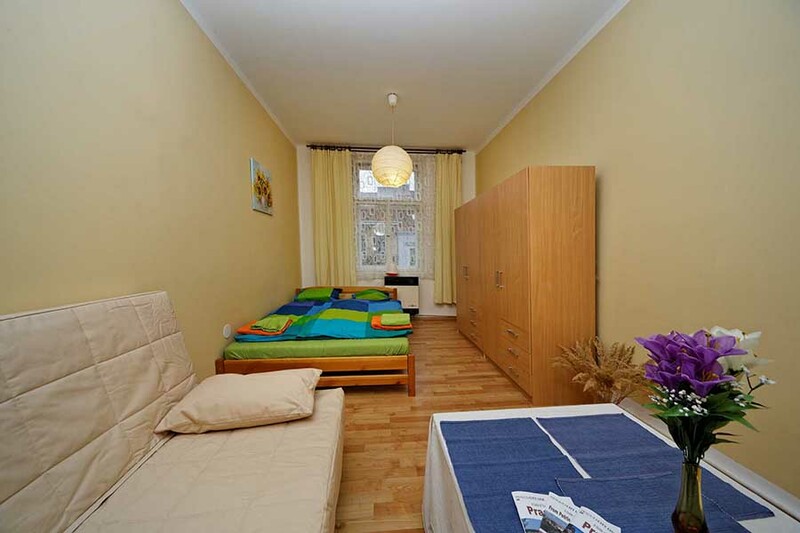 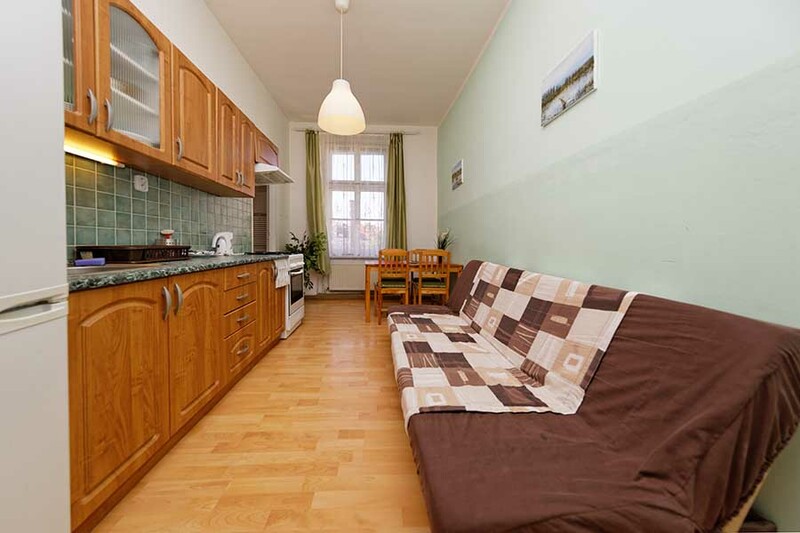 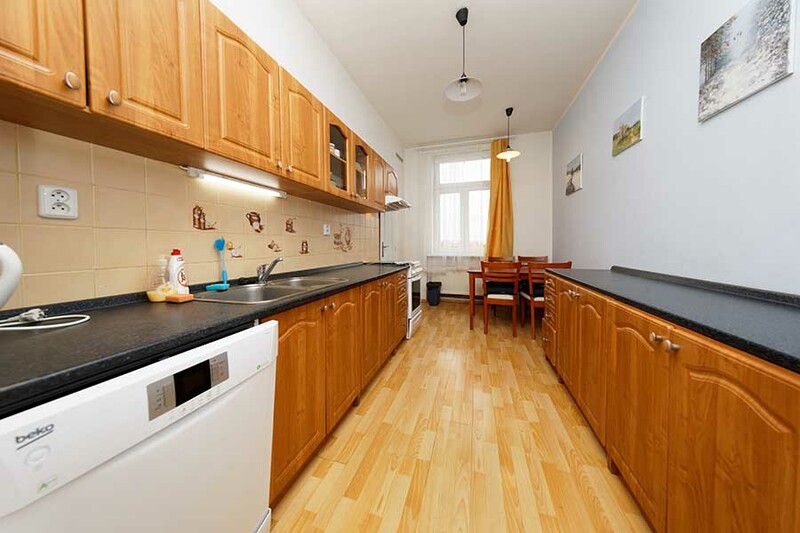 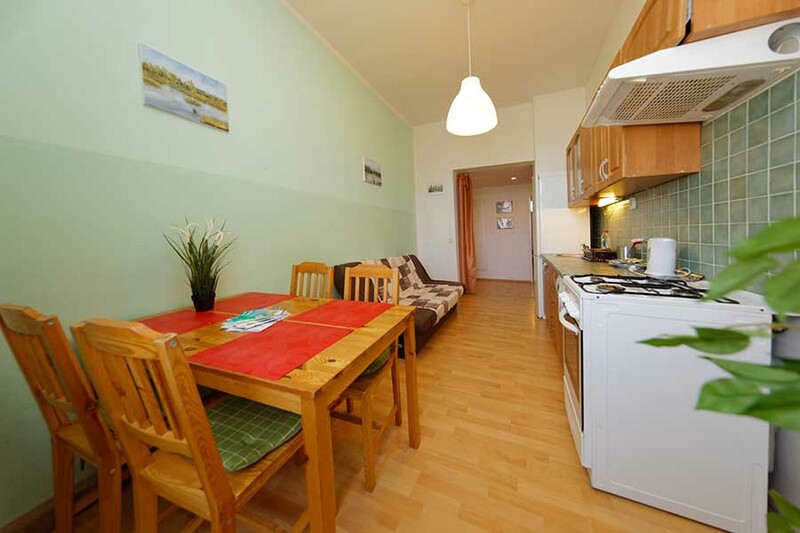 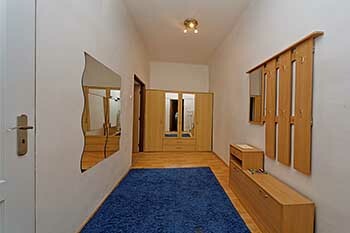 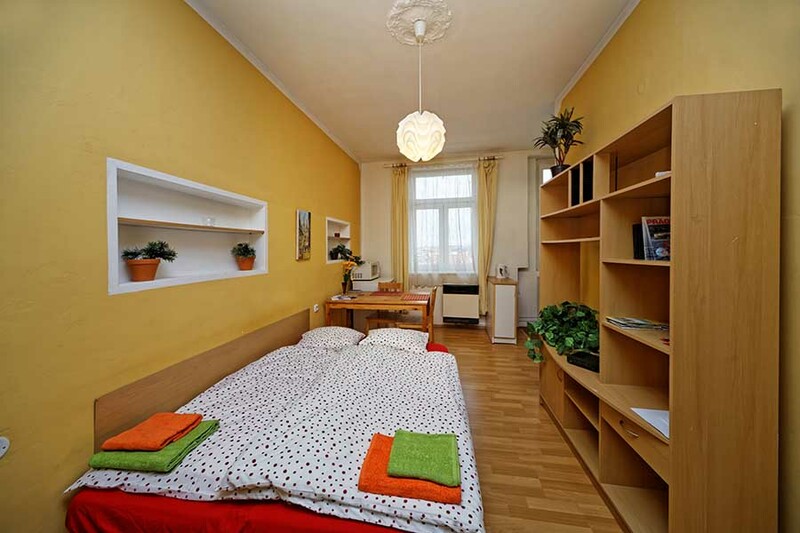 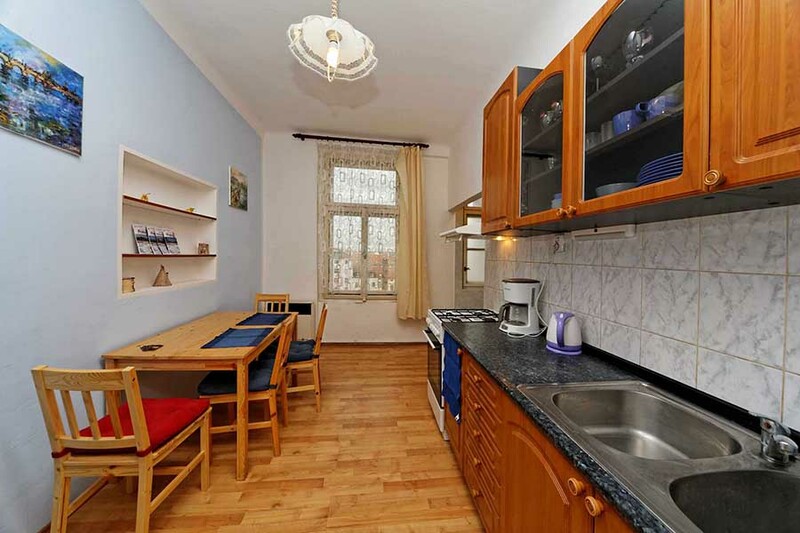 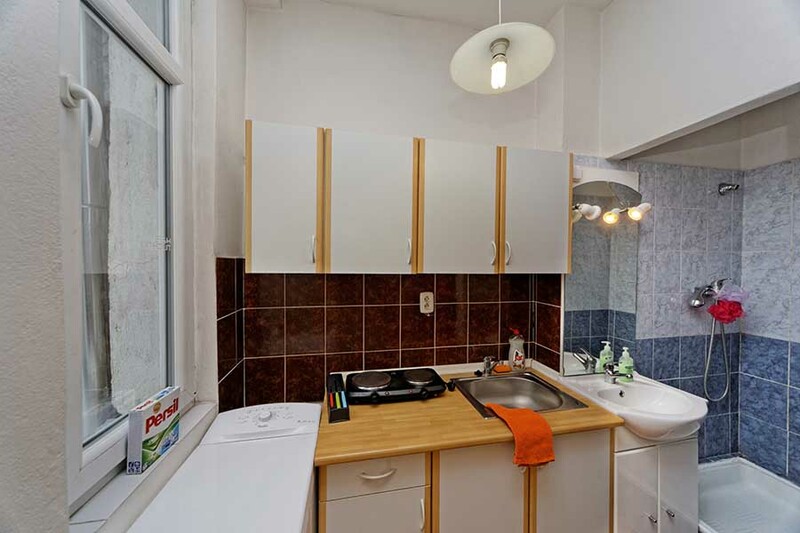 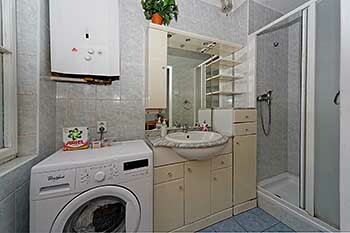 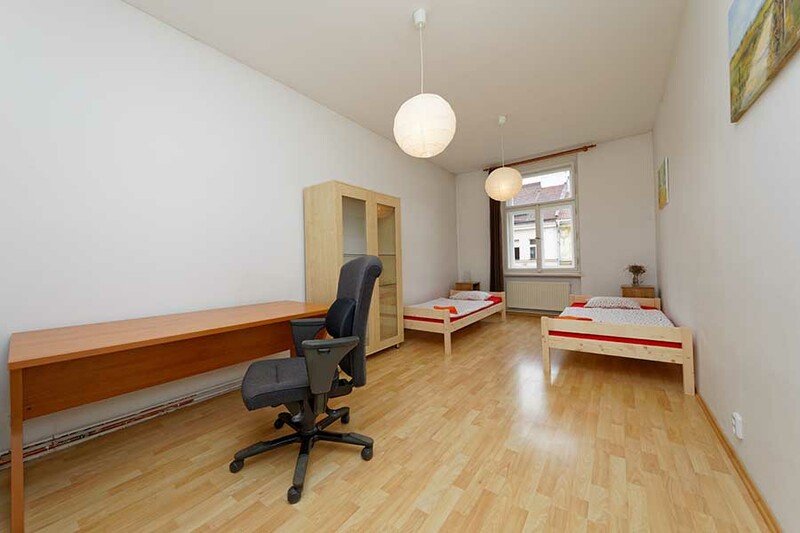 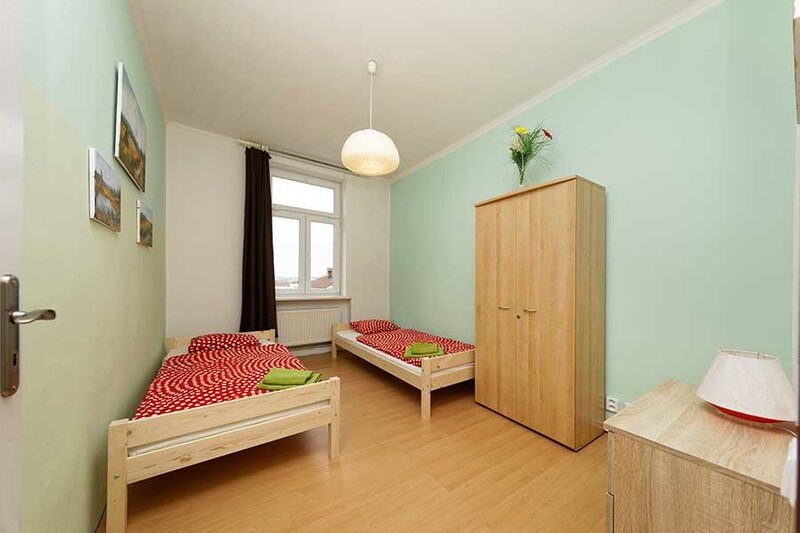 Big and spacious apartment AFTER RECONSTRUCTION WITH 3 SEPARATED BEDROOMS AND LIVING ROOM. 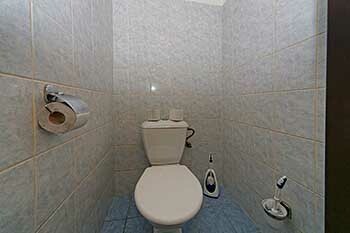 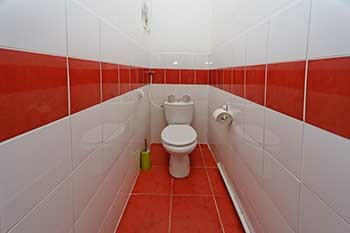 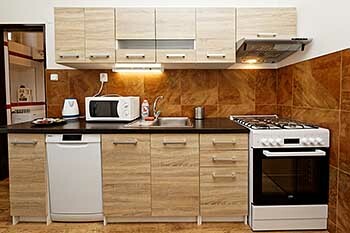 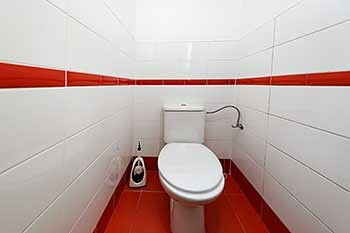 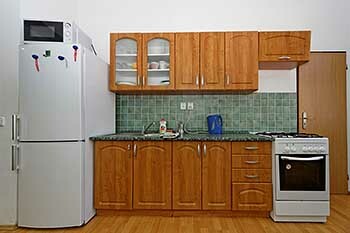 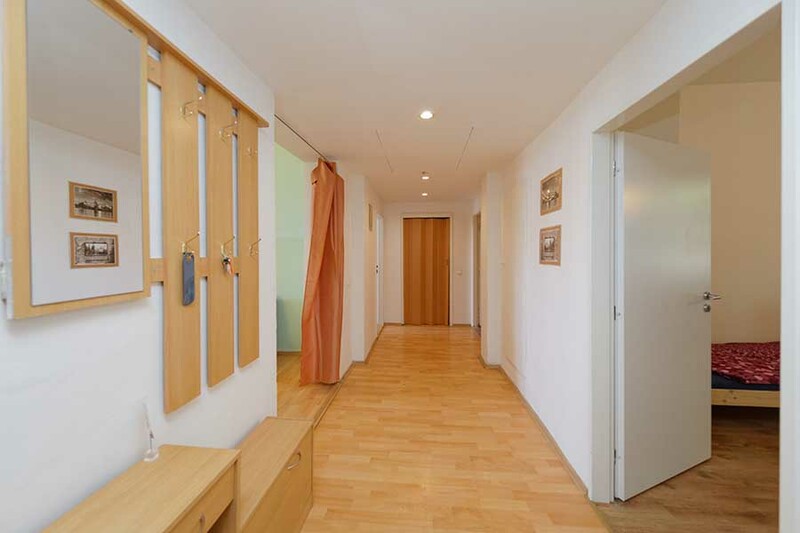 The flat consist of 3 bedrooms, living room, fully furnished kitchenette, bathroom and separated WC. 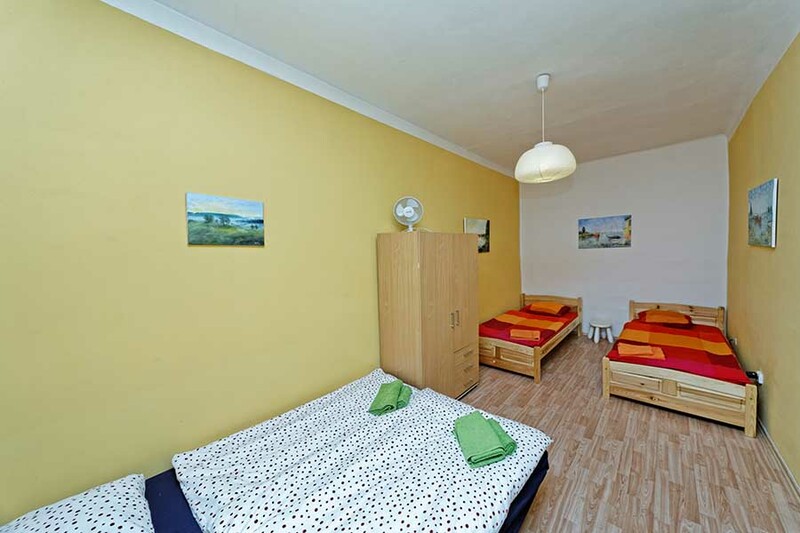 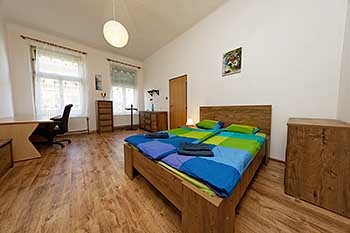 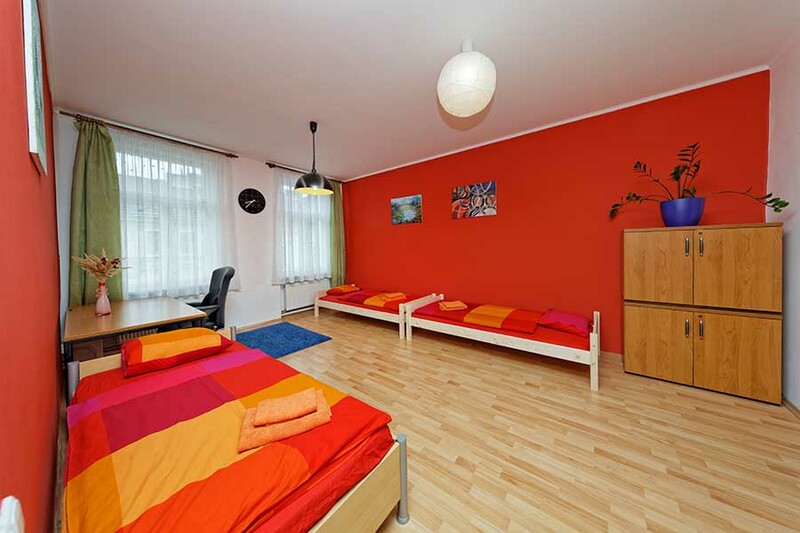 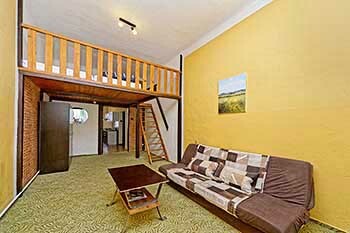 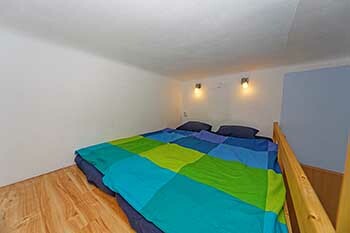 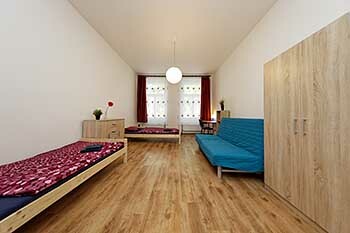 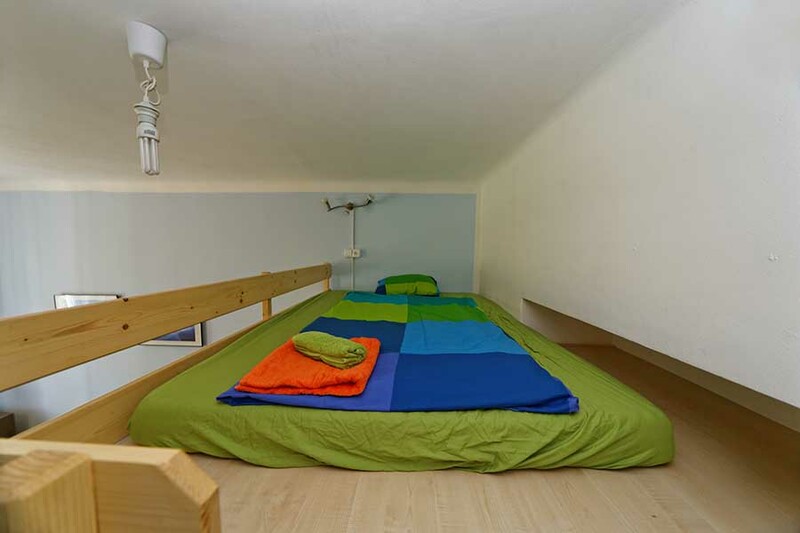 The apartment is suitable for up to 10 people in 2 loft double beds, 5 single beds (can be pushed together) and sofa bed. 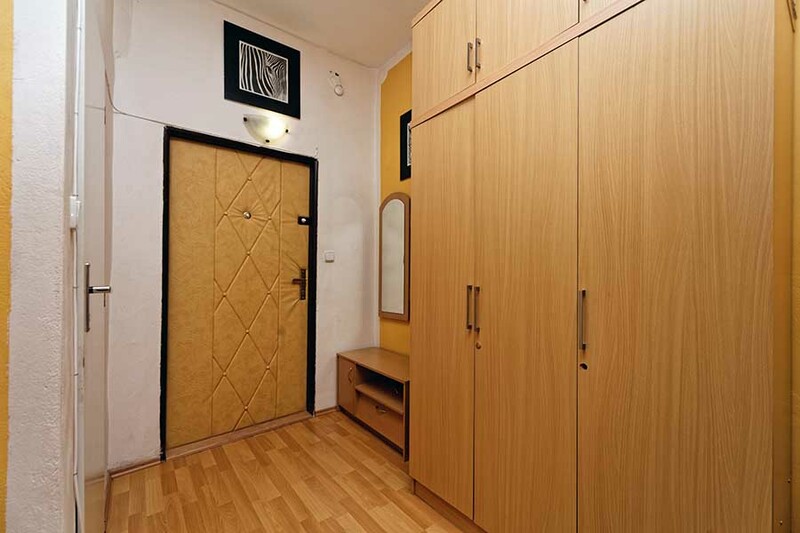 This TWO BEDROOMS FLAT is comfortable for 4 persons but can accommodate up to 6 persons in one bedroom with double bed and second with double bed and sofa bed + kitchen and bathroom with shower and separate toilet. 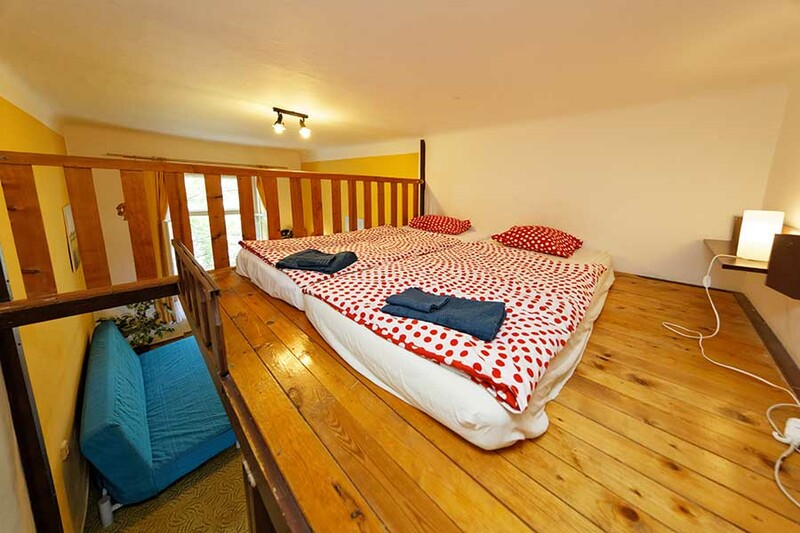 This THREE BEDROOMS FLAT is comfortable for 6 persons but can accommodate up to 10 persons in one bedroom with two beds, second with double bed on the loft and sofa bed and third with another double bed on the loft and sofa bed + kitchen and bathroom with shower and separate toilet. 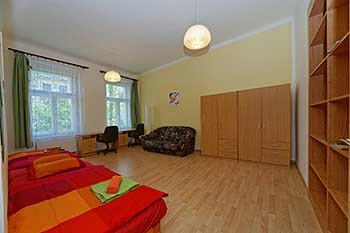 Big and spacious apartment AFTER RECONSTRUCTION WITH 4 SEPARATED BEDROOMS. 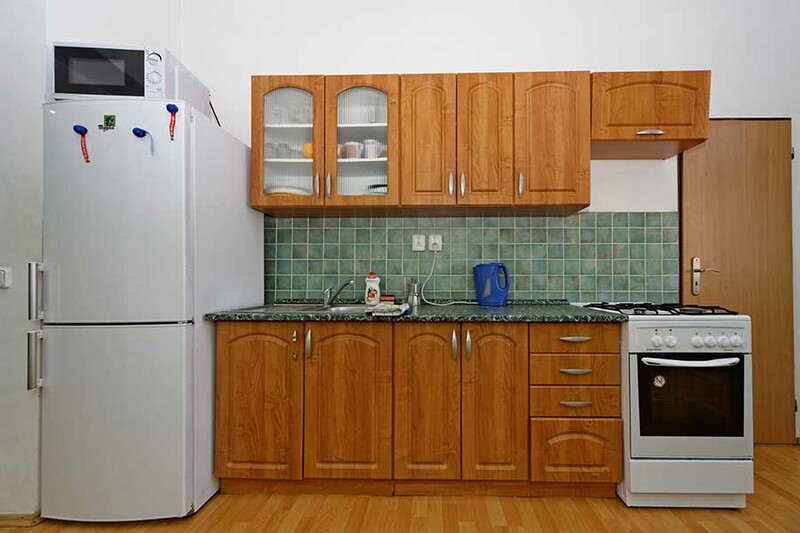 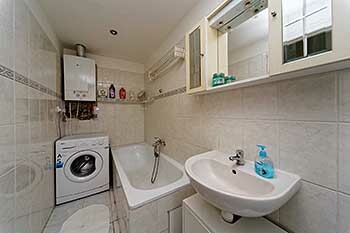 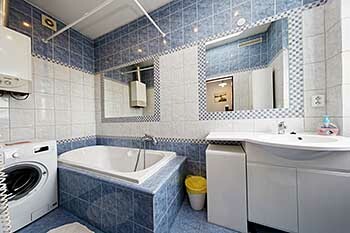 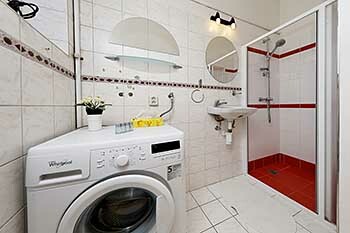 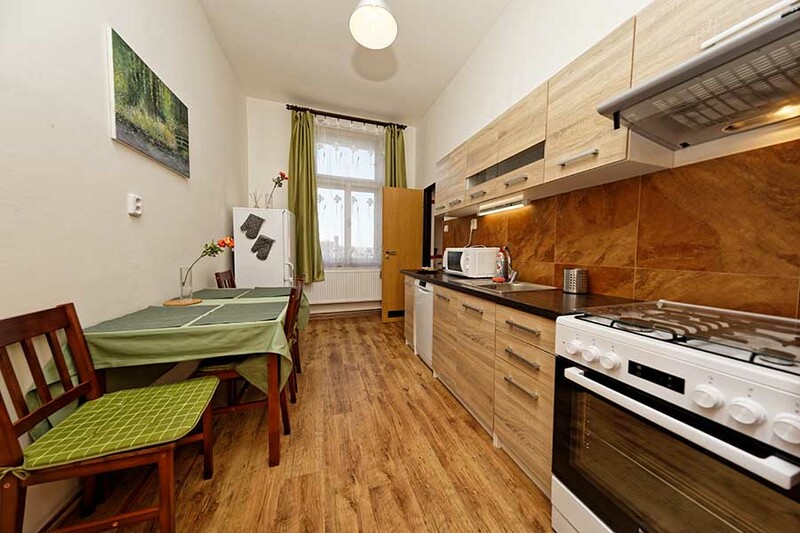 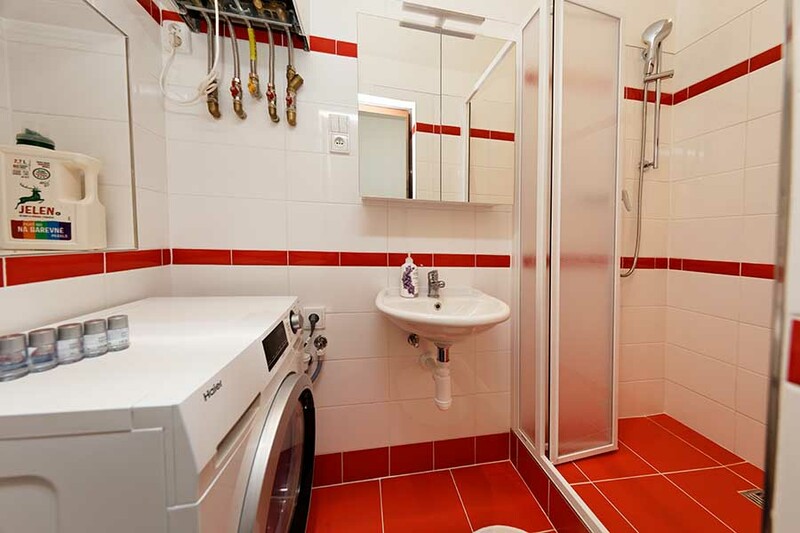 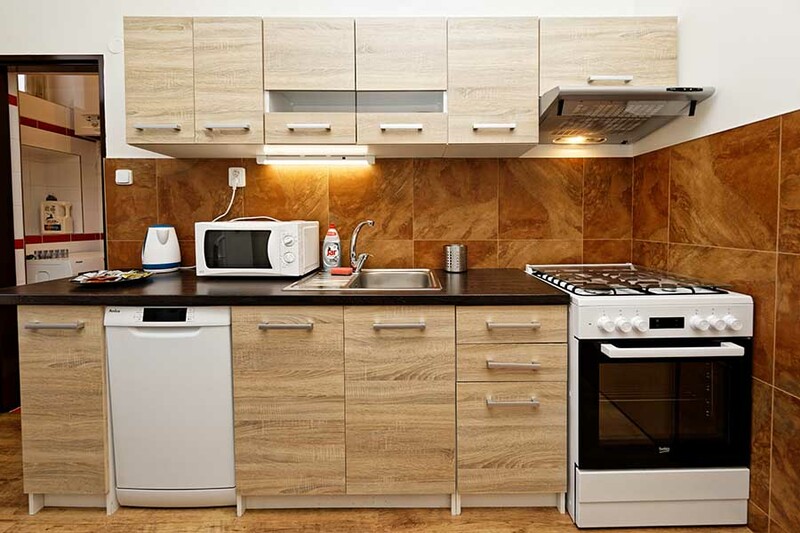 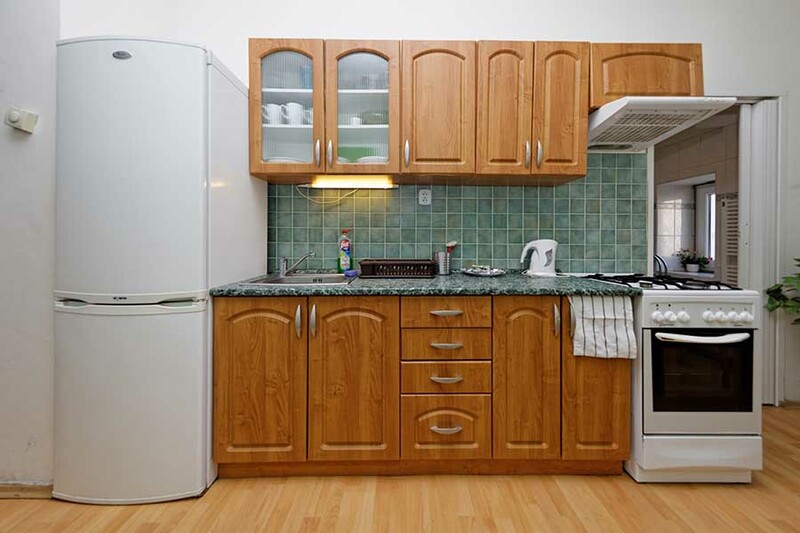 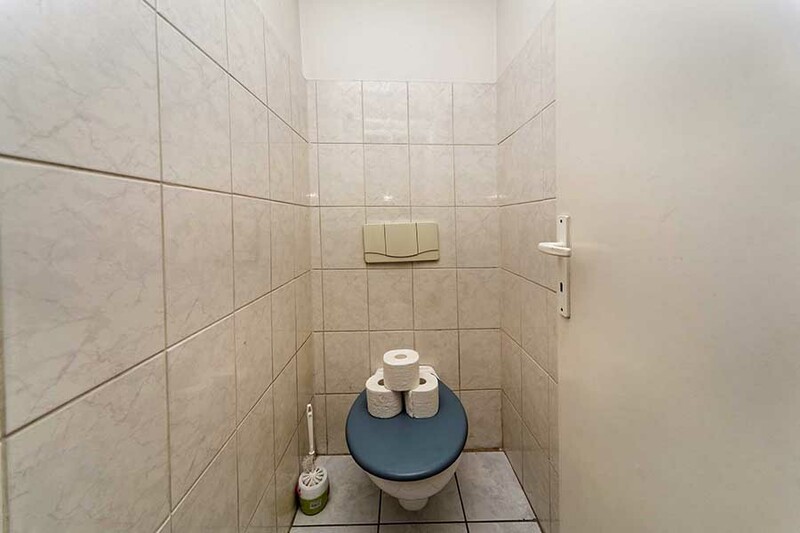 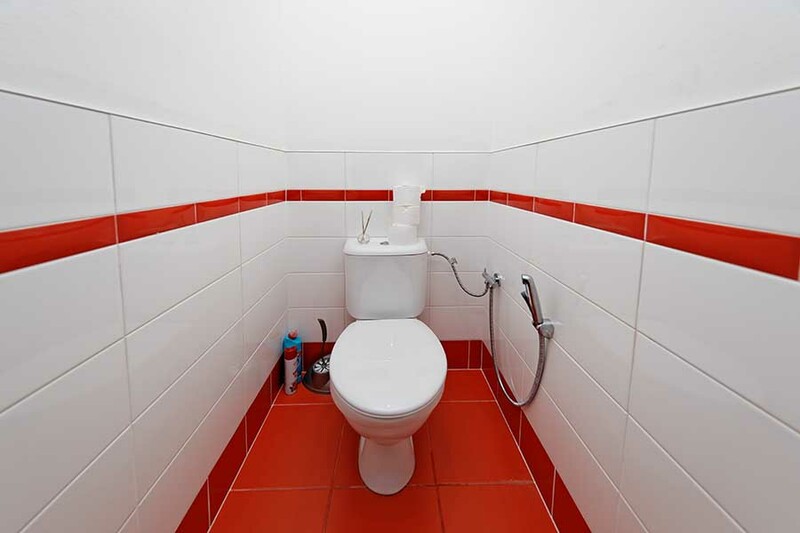 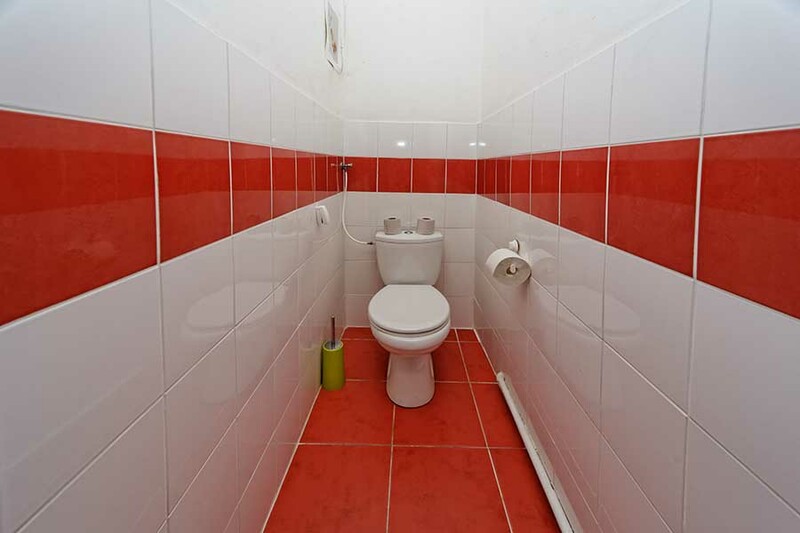 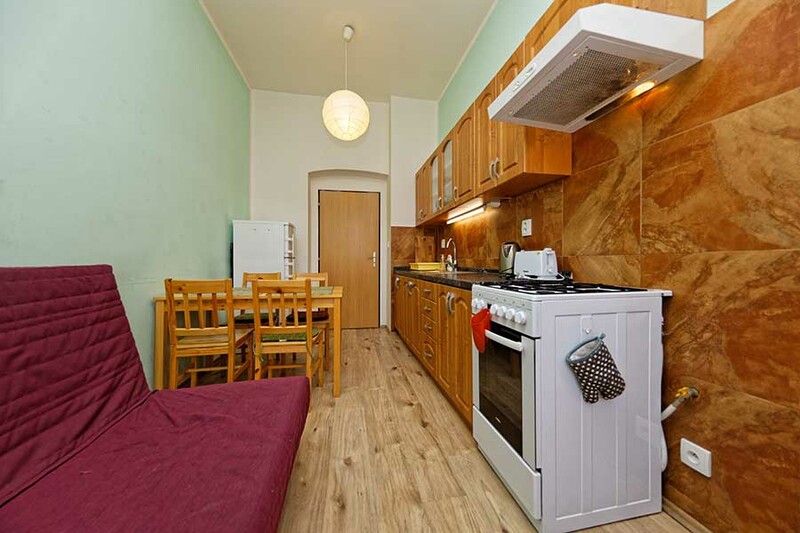 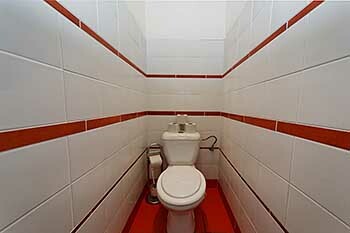 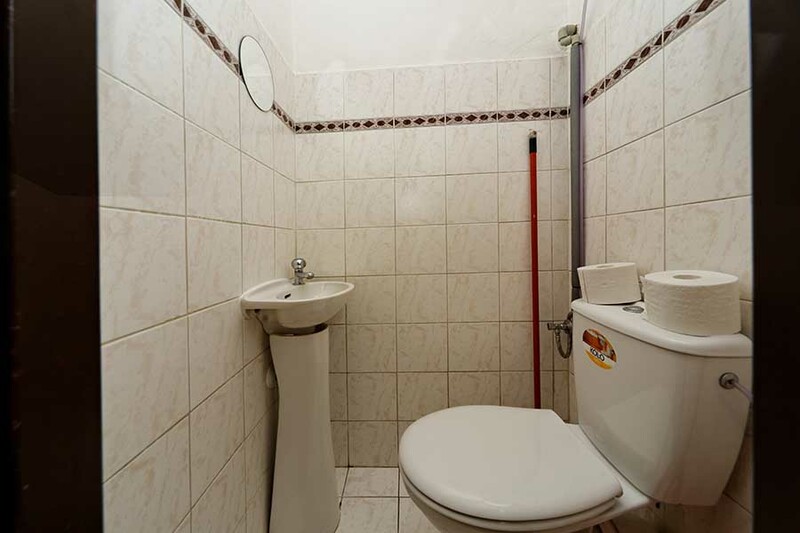 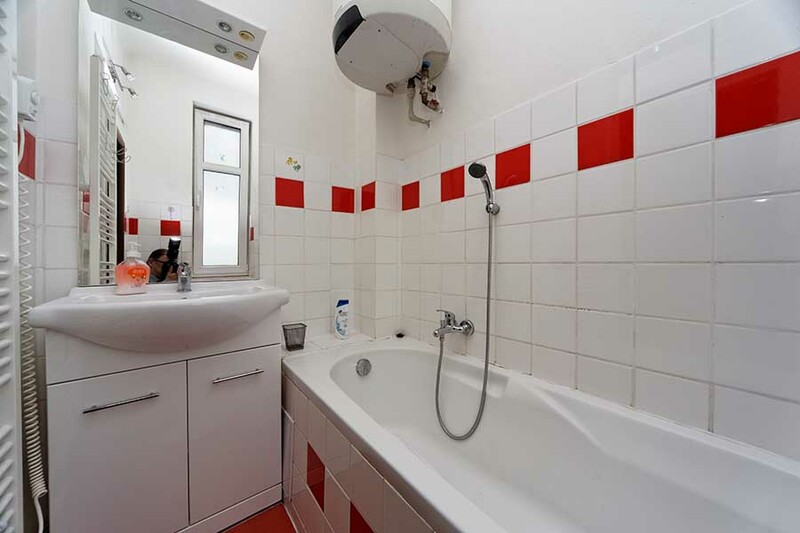 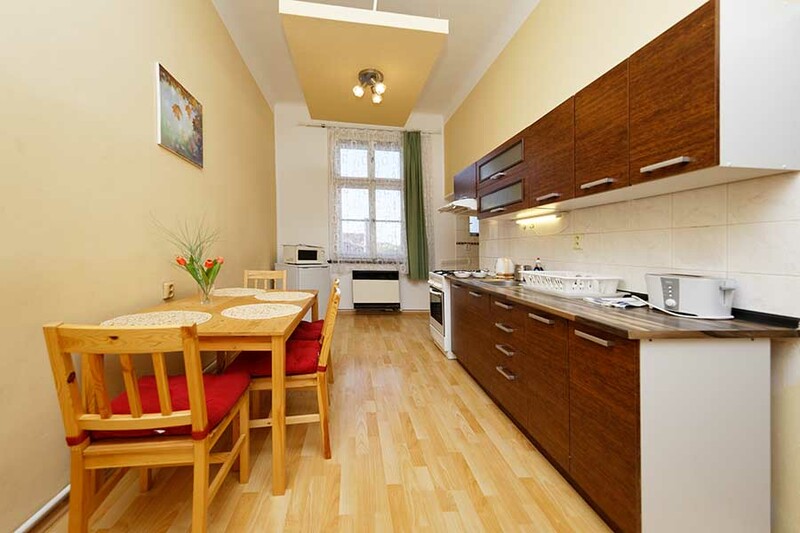 The flat consist of 4 bedrooms, fully furnished kitchenette, bathroom and separated WC. The apartment is suitable for up to 9 people - 3 bedrooms with 2 single beds (can be pushed together) and 1 bedroom with 3 beds. 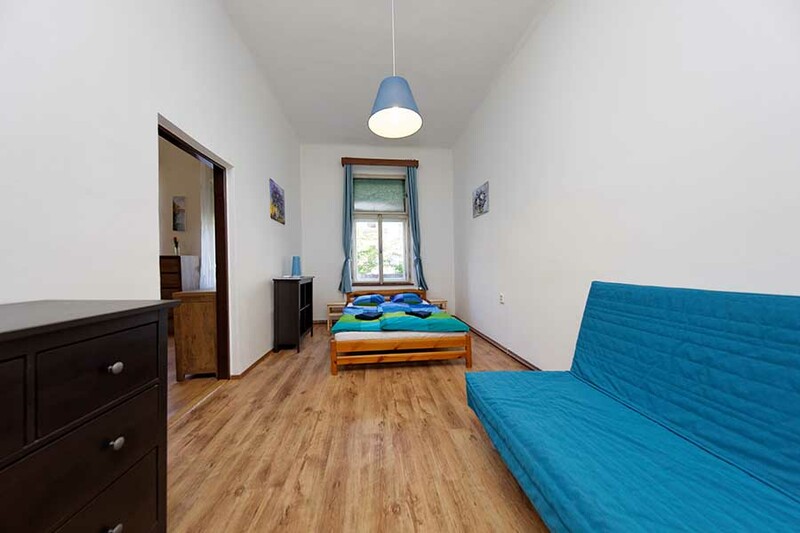 This ONE BEDROOM FLAT is comfortable for 2 persons but can accommodate up to 4 persons in 1 bedroom with double bed and sofa bed + kitchen and bathroom with bathtub and separate toilet. 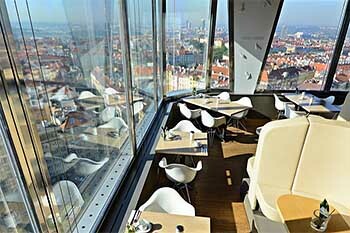 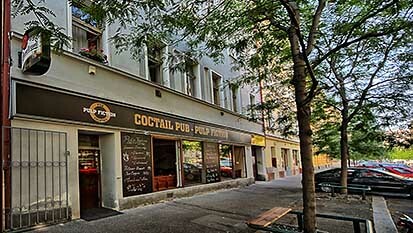 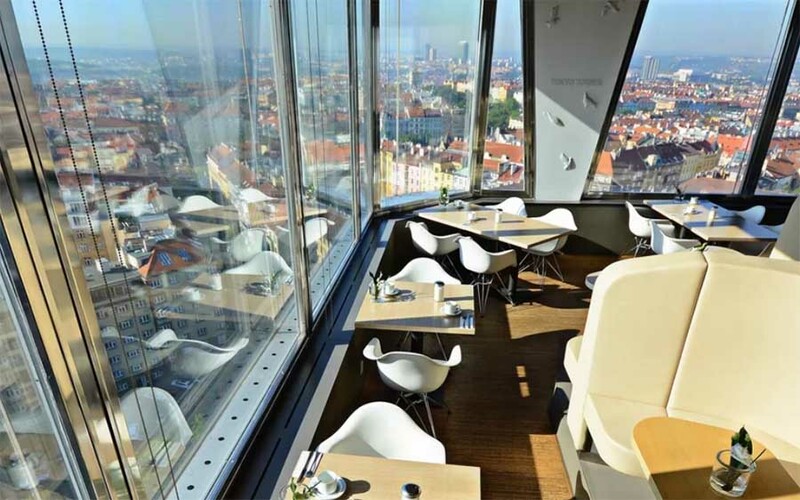 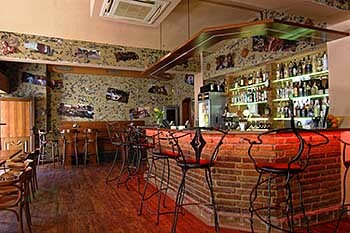 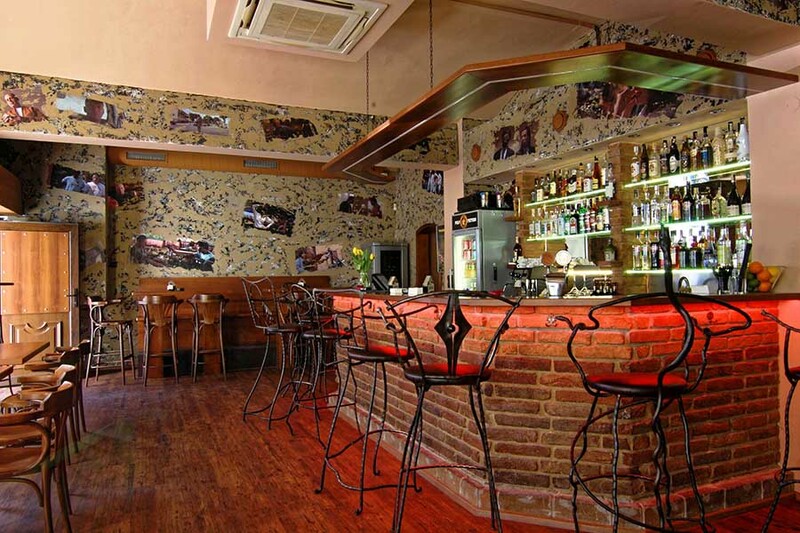 In the ground floor of the house is the Bar Pulp Fiction, which offers meals of Czech and International cuisine, Czech draft beer and more than 40 types of cocktails. 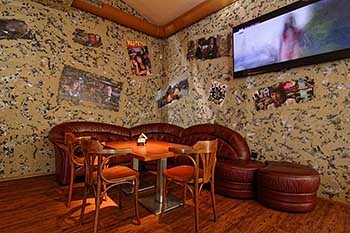 It is open daily from 5pm till 5am. 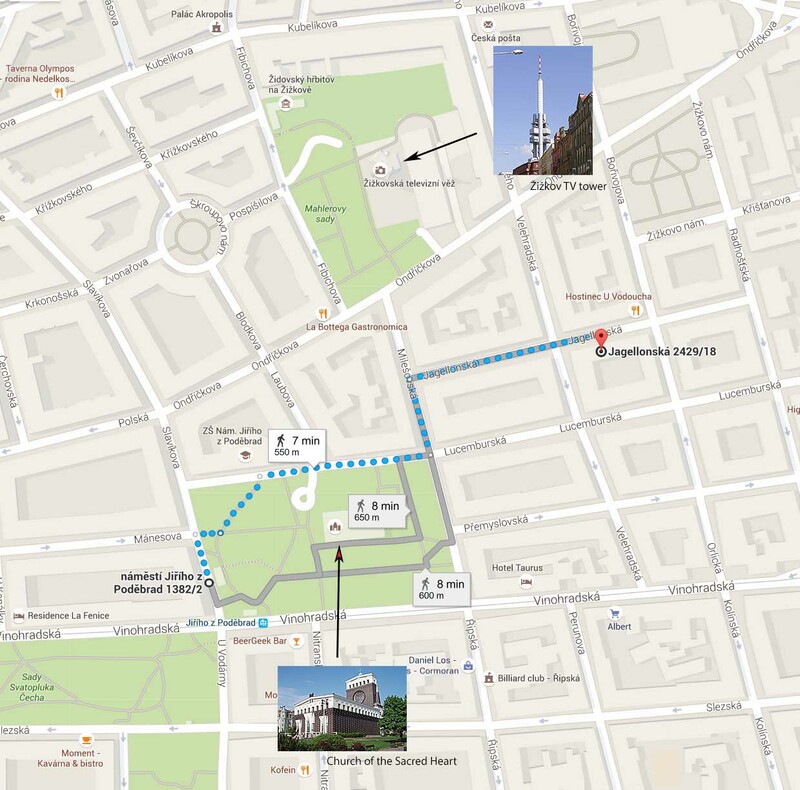 Subway station "Jiriho z Podebrad" (line A, 2 stops to Wenceslas Square) is located 7 minutes walking from the Residence - see MAP . 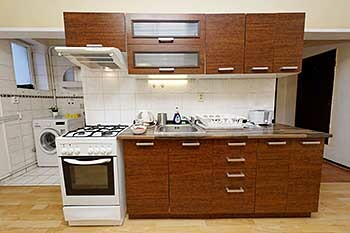 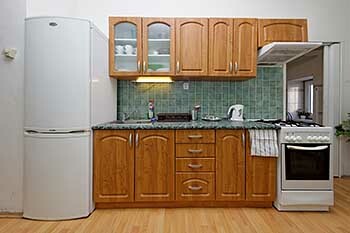 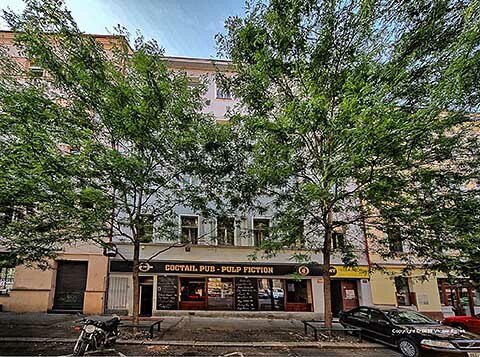 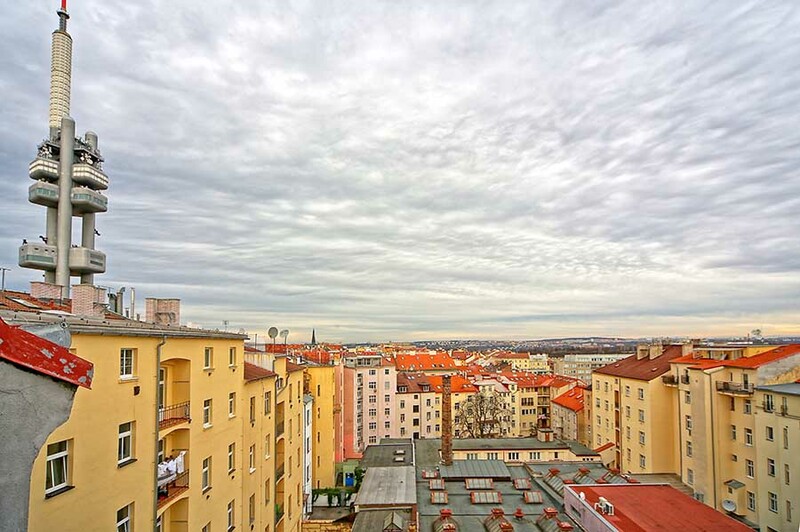 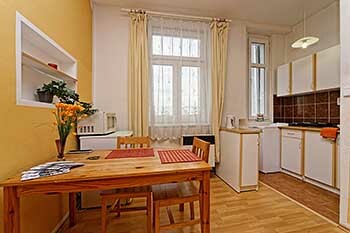 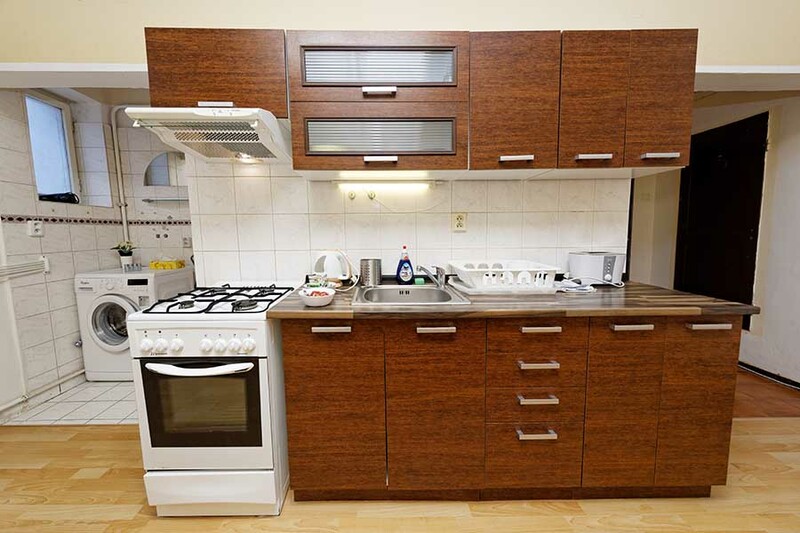 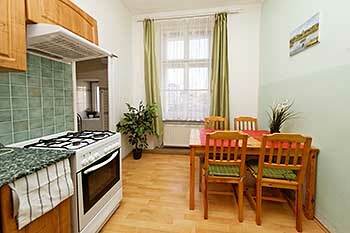 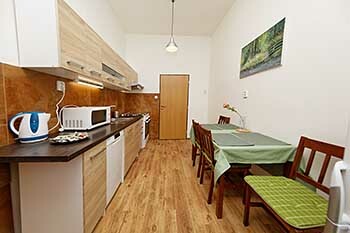 Supermarket Albert is located on Vinohradska street, 4 minutes walking from the Residence. 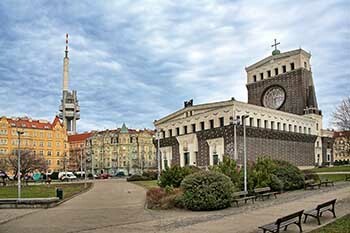 Each Saturday there are famous Farmers markets on the square Jiriho z Podebrad. 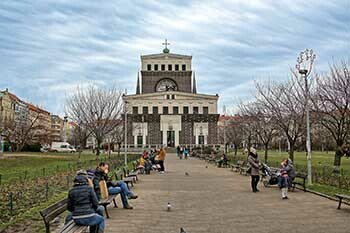 The Church of the Most Sacred Heart of Our Lord is a catholic church built in 1932 by the Slovenian architect Joze Plecnik in the Art Nouveau style. It is considered one of the most significant Czech religious constructions of the 20th century. 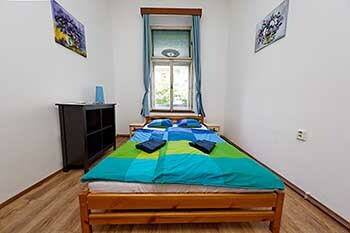 We offer 10% discount for stays for 6 nights and more. 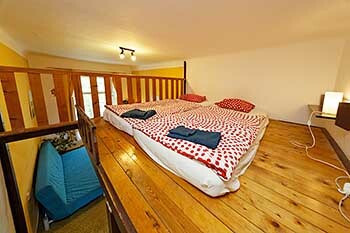 The price is dependent on number of nights and season. We will send you an individual offer. We are the direct operator of this residence. 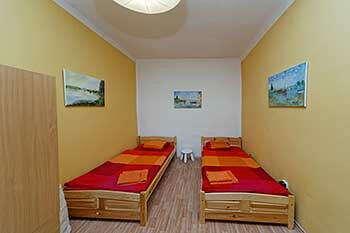 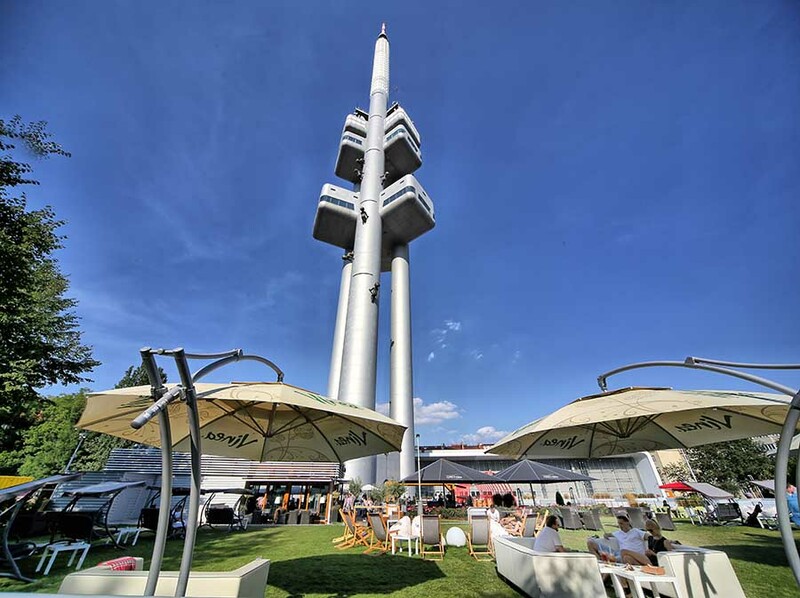 The price is for 2-10 persons per night, including bed linen, towels, internet connection and energy consumption. 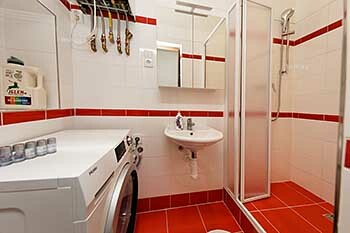 Cleaning fee is paid once per stay 30-50 €. For New Year reservation there is a 6 nights minimal lenght of stay (or the minimum total 600 € independent on number of nights). 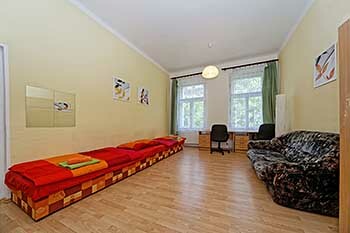 - The reservation is non-refundable. 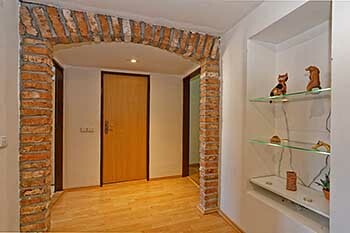 Pets ... 10 €/day. Parking ... 10 €/day (in front of the house).